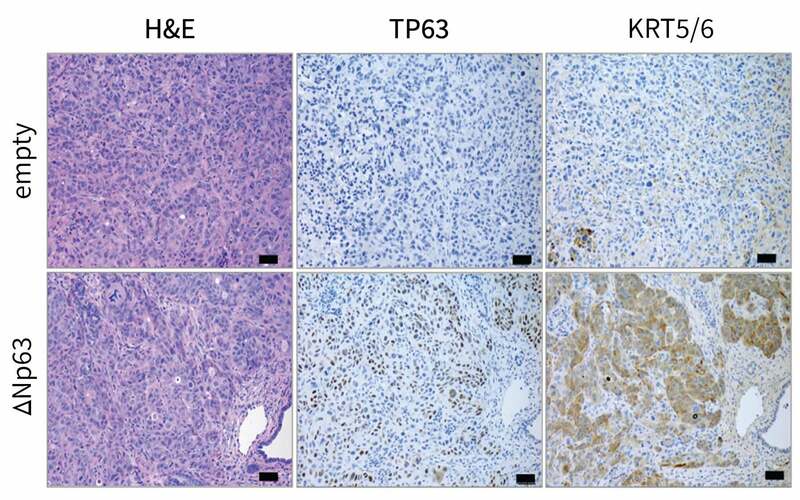 The researchers looked for various indicators of tumor activity in normal pancreas cells (top row) comparing results to those from when the production of the P63 protein has been inappropriately switched on through mutation of the delta Np63 gene (bottom row). Researchers have discovered that an inappropriately-produced protein may be why some pancreatic cancer patients die exceptionally early. They note that this same protein which helps the cancer spread is also its addiction. Without it, they theorize, cancer may wither away. Cold Spring Harbor, NY — Cancer cells are often described as cells “gone bad” or “renegade.” New research reveals that in some of the deadliest cases of pancreatic cancer, these rebellious cells have an unexpected addiction. Now, scientists are investigating if that addiction can be used to bring about a tumor’s end. 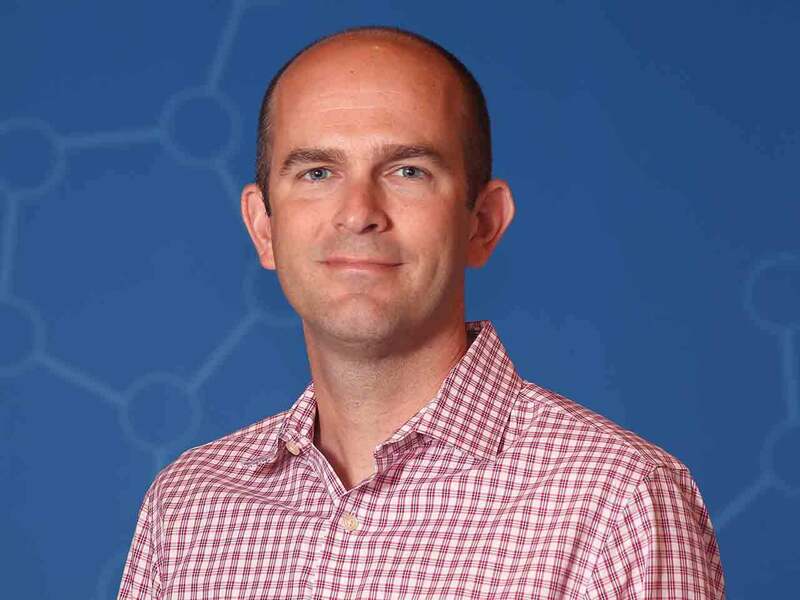 “This version of the cancer is especially deadly,” said lead author Timothy Somerville, a postdoctoral fellow in the lab of CSHL Professor Chris Vakoc, M.D., Ph.D.
“We were able to identify a gene [and the protein it produces] called Tumor-Protein 63 (TP63) that is specifically expressed in this aggressive form of pancreatic cancer,” said Somerville. This study was funded by the State of New York (contract number C150158), Pershing Square Sohn Cancer Research Alliance, Boehringer Ingelheim, Northwell Health Affiliation, NCI, the Pancreatic Cancer Action Network, the Lustgarten Foundation for Pancreatic Cancer Research, and NIH. T. Somerville et. al., “TP63-mediated enhancer reprogramming drives the squamous subtype of pancreatic ductal adenocarcinoma” was published in Cell Reports on November 13, 2018.